I want to mark some walking trails on a map and share them with friends. I don't have any GPS devices so I will be drawing them manually. Since this may take some time, I would prefer that they will be in a format that I can export later. Is there a web app can I use to plot these tracks without needing to own or have a GPS locator? You can use Google Maps to plot trails. 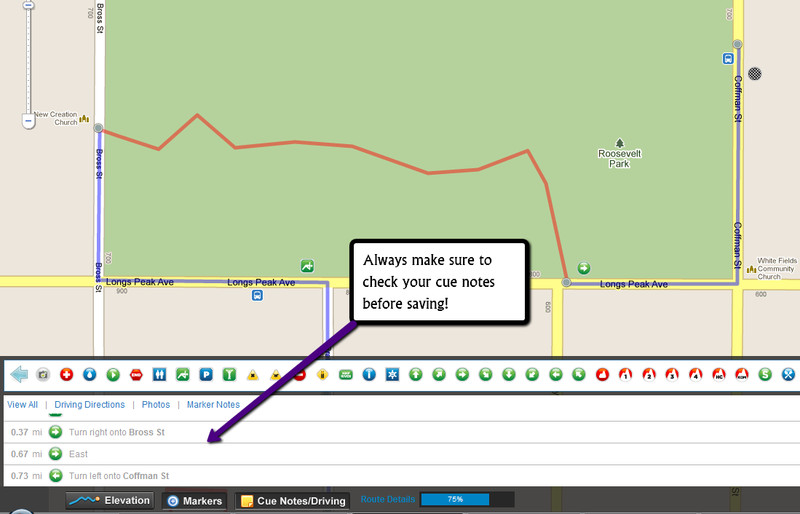 Check out this link if you don't know how to use the My Maps feature of Google Maps. To export, you can get the KML by clicking the "View in Google Earth" button on your map and save the KML data. This will ask you to authenticate your Google Maps and Google Fusion Tables accounts, but once you do, you can pick which maps to transfer to Fusion tables, or just download the KML file. Once your map data is in a Fusion Table, you can click the "Notes" button for each trail under the "Geometry" column to view the GPS data. Before Google Map Maker officially closed on March 31, 2017, you could also use Google MapMaker to make your trails available to everyone on Google Maps. Many of the features of Google MapMaker are now integrated directly in Google Maps. Not the answer you're looking for? Browse other questions tagged google-maps bing-maps or ask your own question. Any map site which allows me to see a number of addresses in the same map? How can I override Google Map's shortest route feature when drag plotting a long scenic route? How do map applications calculate travel times?